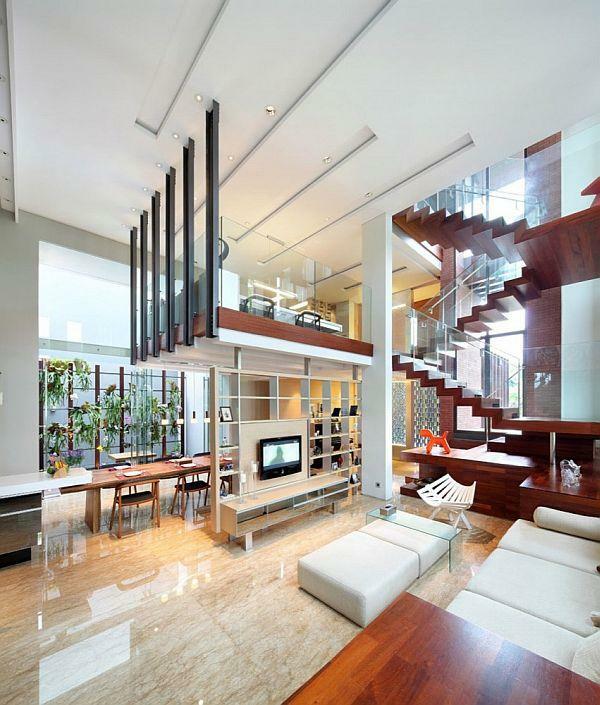 Here the modern tropical home design ideas – an awesome dream house in Indonesia. 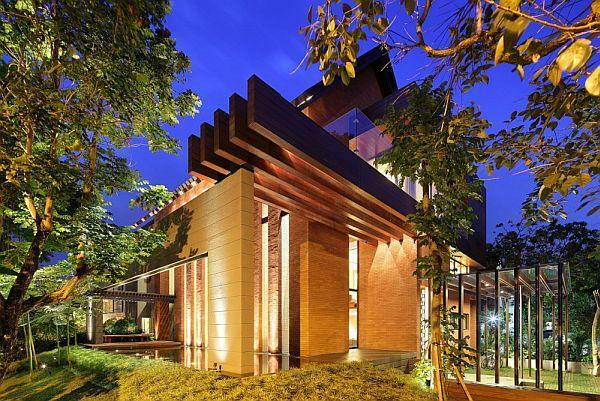 This comfort and beautiful modern residence design is located in the area of Alam Sutra Residence, Tangerang, Indonesia. 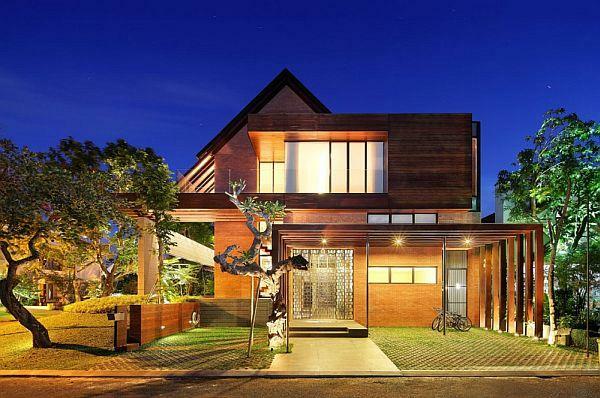 Wahana Cipta Selaras succeeded in creating such a charming tropical house. Tropical nuances raised by the use of natural elements and arrangement of beautiful land. While the overall design concept of the modern and luxurious. Inside the interior of the house; livingroom, dinningroom, and pantry are opens in the same room. This arrangement gives the effect of extensive decoration and gives leeway on air circulation flow. 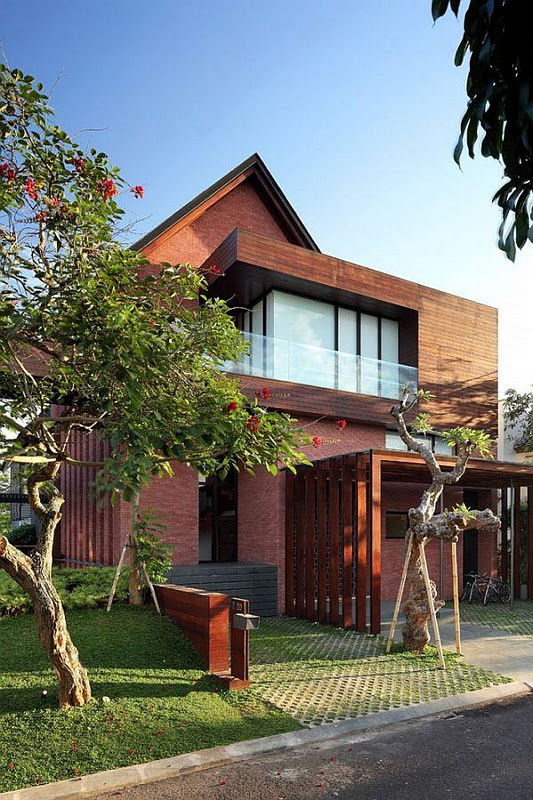 Details of this house as a whole highlight the impression of an elegant, beautiful, simple, and modern. 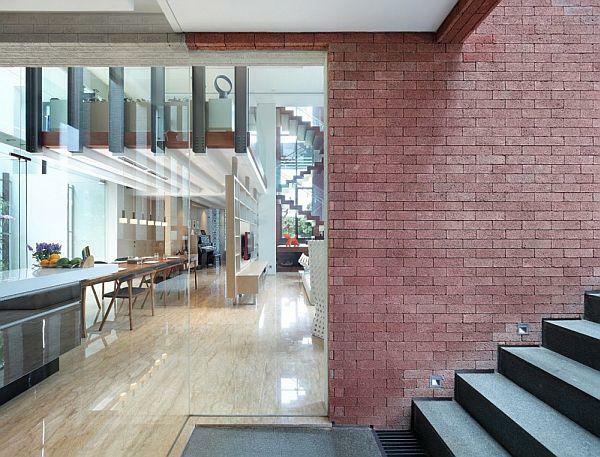 Stairs that made from wood with a glass barrier looks unique connecting room between floors. From the outside, the house look warm and very tropical impressed, while inside, you’ll find stunning simple home with modern sensation. This is a really beautiful dream home!